Call today at 1-866-298-3686 to take advantage of this exceptional service. Our indent printing capability is the latest of many unique services Direct Manufacturing offers you and your customers. 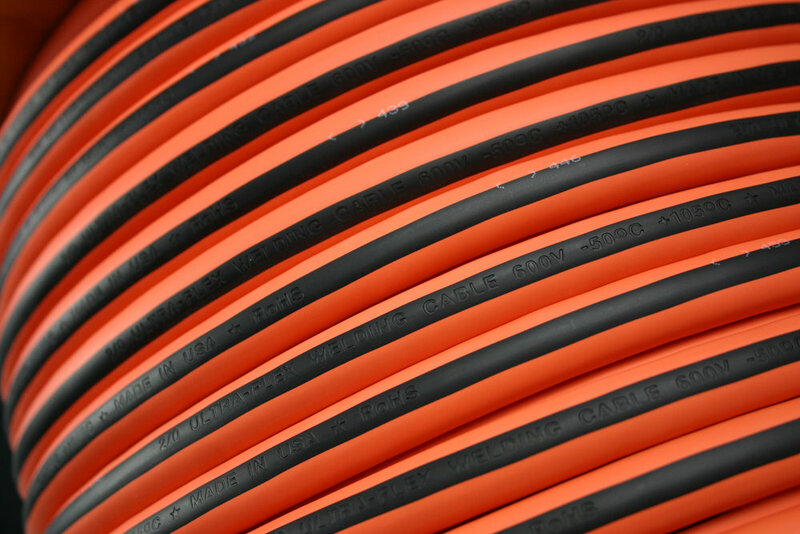 Indent printing gives you the ability to permanently brand and protect your valuable welding cable. You can print your name, phone number, website, etc. Using our state-of-the-art technology, we continue to find affordable solutions that give you an advantage in the marketplace. For more information contact us at 1-866-298-3686. The new offering will allow customers to customize cable in several ways with its new stripe extruder. This option is also available with all of Direct Manufacturing's cable offerings, including Flex-A-Prene® brand welding products, 3311, Dura-Flex® Type W and Veri-Flex®Stage Cable.